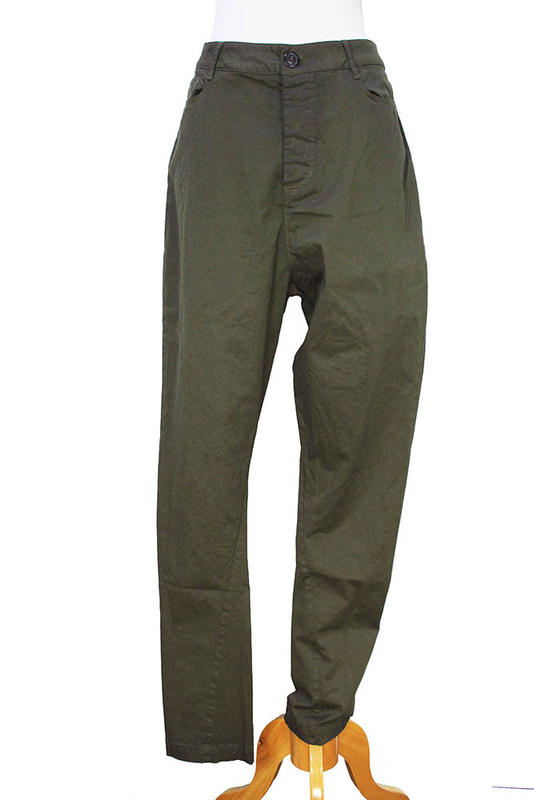 Rundholz Dip Collection over-dyed, stretch fabric, low-crotch trousers in stretch drill olive green (olivengrun). Belt loops. Buttoned fly with placket and tab and button fastening inside. 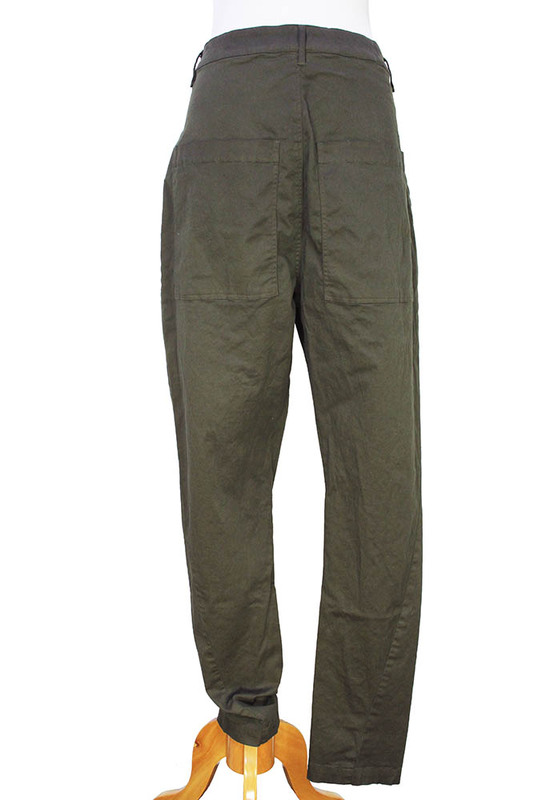 2 rounded pockets and 2 large patch pockets at the rear with finished edges. Narrow tapering legs, great turned up. M-34/36, L-36/38. These benefit from being pulled in at the waist with belt.